This article was updated on 02/14/19. Happy Valentines Day! Residential air conditioner units chill the home as well as adjusting humidity levels. The conventional units remove excess humidity, swamp coolers add it. Thus, conventionals are for humid environments; swamp coolers for arid ones. Theyre rated by SEER ratings which indicate energy efficiency. Efficiency will become much more important as energy costs rise and we can never anticipate those fluxuations. Theres other things that homeowners can do to control energy usage and lower power bills. Central air conditioners that share a blower with ductwork are generally installed in most modern homes during the initial construction. Theyre composed of an evaporator coil (located in the furnace), a condenser unit (sits on a small slab or on cinder blocks outside the home), and the insulated ductwork (the air distribution system). Energy-saving tip: Last year I discovered a novel device called a condenser misting system. After I installed mine, I immediately began seeing a sharp reduction in energy bills. See the link for details. It is worth noting that some homes really dont need this much horsepower. It doesnt make any sense to pour appliance funds in a large central system for the homeowner or condo resident who only experiences short and mild summer seasons. The bottom line is that prior to installation the contractor needs to determine the correct size for a new HVAC system. This is true of all types of systems. 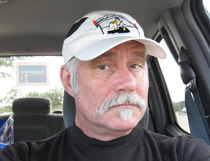 Altogether too many HVAC contractors simply rely on square footage. Consequently they install systems that are too large because they do not consider the size and glazing type of windows, air leakage, lighting, and home appliances. Window-mounted AC units arent engineered to be portable, but they perform a great service in cooling a single room or work area. When might one be considered? Its a great solution for a small apartment. Its impractical and wasteful to install a central unit in a case like this in areas that dont get much of the summer doldrums. Another situation to consider is when engaging in a remodeling project and adding on a room. Regardless of whether hiring a home addition contractor or taking it on as a do-it-yourself effort, the additional cubic footage will most likely overwork the existing central system. The installation of an auxiliary window unit will keep straining the the central unit. Another solution that has been gaining in popularity is the ductless air conditioning system. They dont require a window. Neither do they hang out in the sunshine. Portable air conditioning units are becoming more popular and provide a good return on investment. They carry the advantage of being easily moveable from one room to the next. Its also considered by some to be green environment control. This is because a minimal energy consumption is being used to provide a reasonable comfort level. Another area these windowless air conditioners are useful is where it's just not practical to drain the condensed humidity that they recover from the air. These units have a removable pan that slowly fills with water. As soon as the pan nears being full, a sensor will shut the unit down, thereby avoiding a spill. Very clever. When are Swamp Coolers the Right Choice? Swamp coolers are made just for use in hot dry locations, such as desert areas. With the lack of ambient humidity, the one thing not to do in these locations is attempt to remove even more moisture from the surrounding air. As a matter of fact, swamp coolers are designed to provide the opposite effect. They add additional humidity to the home air. This is why theyre also called evaporative coolers. Evaporative coolers are surprisingly simple. Basically, its a box with blanket pads, usually a cellulose material, suspended inside it. It uses a water pump to regulate the moisture content held in the cellulose. As the blower fan moves the returning warmer air through the cellulose, the moisture evaporates. The resulting evaporation then cools this air by what might be called a radiator effect. The change in temperature is up to about 20 degrees. The cooled air is moved into the living space by the fan. In this manner, the home is cooled and humidified. 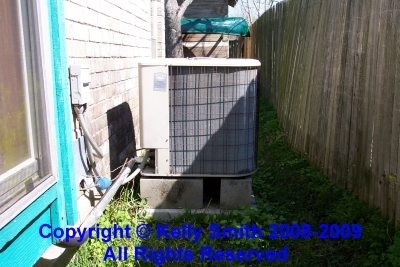 Even though the a houses square (or more accurately, cubic) footage and other factors, spelled out by International Residential Code, and calculated with the help of Manual J, determines the tonnage of the air conditioner system, the key thing from a ROI perspective is the systems energy efficiency. For central systems, look for the SEER rating (Seasonal Energy Efficiency Rating) while window units specify a EER rating (Energy Efficiency Rating). Most units range between a rating of 13 to 16, with 16 being more efficient. Additionally, look for the Energy Star label. This is a good indication that the new system will keep your utility bills low. Energy tax credits have change periodically, mostly for the better, and a new AC purchase may qualify. Always inquire before making a purchase. I hope you enjoyed this article outlining the different types of air conditioning units and found it helpful in upgrading or building your home. If so, please share the link with friends. And if you have some related ideas please share them with our readers in the comment section below. Website © 2009 KSmith Media, LLC; all rights reserved; content may not be copied, rewritten, or republished without written permission.